PUBLIC HOUSES. We place before our readers an print of the Marlboro' Hotel, no. 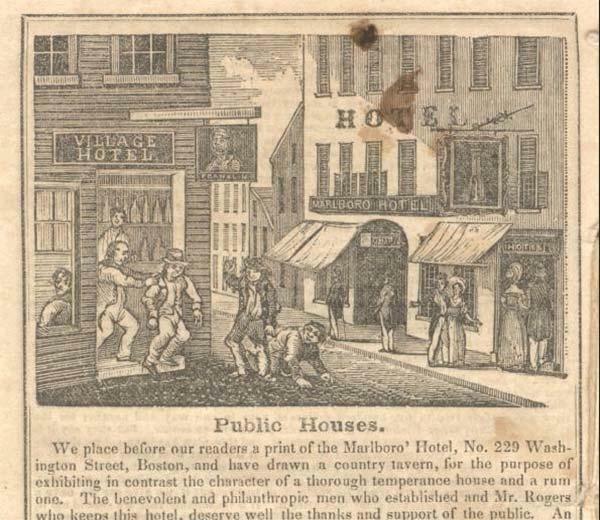 229 Washington Street, Boston, and have drawn a country tavern for the purpose of exhibiting in contrast the character of a thorough temperance house and a rum one. The benevolent and philanthropic men who established and Mr. Roberts who keeps this hotel, deserve well the thanks and support of the public.